Dance teachers often emphasize the use and strengthening of the inner thigh in dance class. Adduct (or pull the legs together or toward the center line of the body). If you think about your dance or ballet training, perhaps you can already see why your teacher might consider the inner thigh muscles worthy of attention. Strong inner thigh muscles help a dancer to maintain turnout in standing and some help when the leg is lifted in turnout. It is a general misconception that these are active rotators in turnout. Instead, the inner thigh muscles (or more specifically those that adduct and outwardly rotate) stabilize and support the rotation which the six deep rotators work to achieve. Strong adductors (which make up what we consider the inner thigh) also allow the dancer to be quick and agile particularly in movements which beat or require a quick closing of the legs. 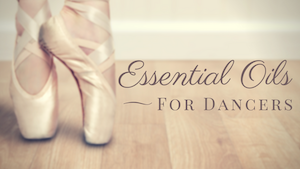 From tendu to grand battement to assemblé sauté to entrechat quatre, a quick and precise sort of strength is necessary for ballet as well as many other dance forms. Students often mistakenly think that targeting this muscle group with strengthening exercises will suddenly improve the height of their extended leg, or the speed of their battu. The truth is, that the best way to strengthen these muscles is through conscientious and consistent working on technique. Of course, doing a bit of additional, focused work can certainly encourage awareness and therefore improvement of technique and strength. Therefore, I am including some exercises that may help you develop such an awareness of the various muscles in your inner thigh. These can be used to target muscle groups for strengthening, should you be particularly weak in this area or tend to overwork the quads and gluts (not uncommon in dancers). However, talk with your teacher or physiotherapist to decide if you really need to begin a regimen. Overall, I suggest you use these exercises to learn and discover information that you can then use in your daily/weekly classes. Please note that I do not endorse or sponsor any of the above websites or programs affiliated with these videos. They simply provided good visual examples of the exercises. Lie on your back with the feet lifted to the ceiling. The legs are in a turned out first position and pointed. From here open the legs wide to a straddle position and then close together while flexing the feet. The movement should be controlled and smooth in both directions and done in a series. You might also add beats, etc. Create a small loop with an exercise band (Theraband) and place it around your ankles. 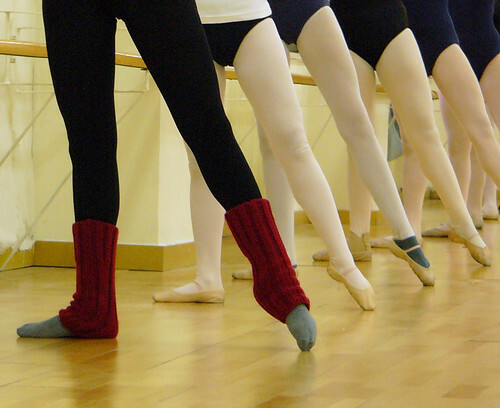 Stand in first or fifth position and tendue or point the leg in any direction (front, side, or back). Execute small lifts of the leg (make sure you are properly turning out both the working and supporting leg and lifting tall through the body – if you aren’t sure, do this exercise only in the presence of your teacher so that corrections can be made if necessary). You could also try rond de jambe or other small battement. Do you have a great inner thigh exercise (or awareness builder) to share? As a dancer and teacher myself, I can’t stress out enough how important it is to strengthen their inner tights to my students. Thanks for such a wonderful post. Excellent article Nichelle! In-depth, professional and informative. The inner thigh is a sometimes overlooked source of strength and flexibility in sports – which is unfortunate as it can produce a significant amount of pain when proper training is not practiced! Kudos! Thanks, Nancy. Thanks for bringing up sports. I’ve trained dancers who participate in athletics and dance and in both cases, weakness in the stabilizing muscle groups lead to injury! I have been working on strengthening my inner thighs more and these videos were very interesting and helpful! I’m excited to incorporate them into my exercise regime. So glad you found them helpful – good luck in adding these to your workout! Do you have any tips for improving my arabesque? Exercises? This is a topic I’m planning to cover on the blog, however I will email you personally as soon as possible with some stuff to get you started. Thanks for stopping by!